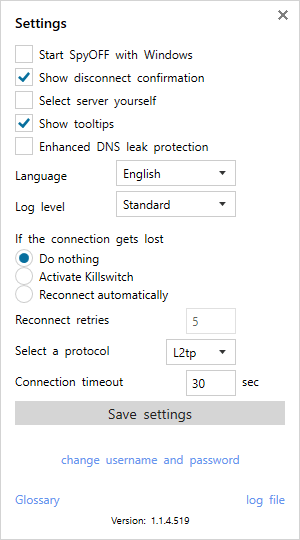 SpyOFF VPN’s torrenting policies, great connection speeds and generous free trial make it an interesting option for torrent users. But they don’t accept Bitcoin and don’t have as high a total number of servers & countries as some other torrent VPN providers. SpyOFF has a great 15-day FREE trial with no strins. You can cancel the subscription at any time during the trial period. 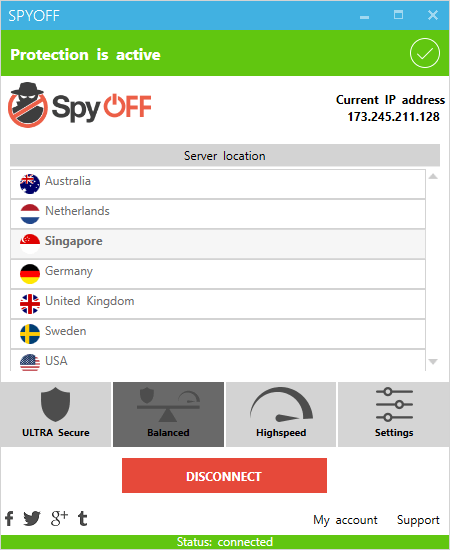 Try SpyOFF VPN Free for 15 Days! Website isn’t as informative as it could be. Once you dig, SpyOFF has a lot more to offer than is featured on its website. There aren’t any SpyOFF coupons floating around at the moment, but if we find any, you’ll be the first to know! Make sure to check back regularly to see any updates. But remember it has a full 15-day free trial which you can cancel at any time during the trial period without further obligation. Unfortunately, a lot of the VPN reviews out there don’t tell the whole story. They’re biased and written by sites just trying to make money. To prove that we’re impartial, we’re even willing to recommend some other SpyOFF reviews. We consider these to be fair, reliable, and trustworthy. 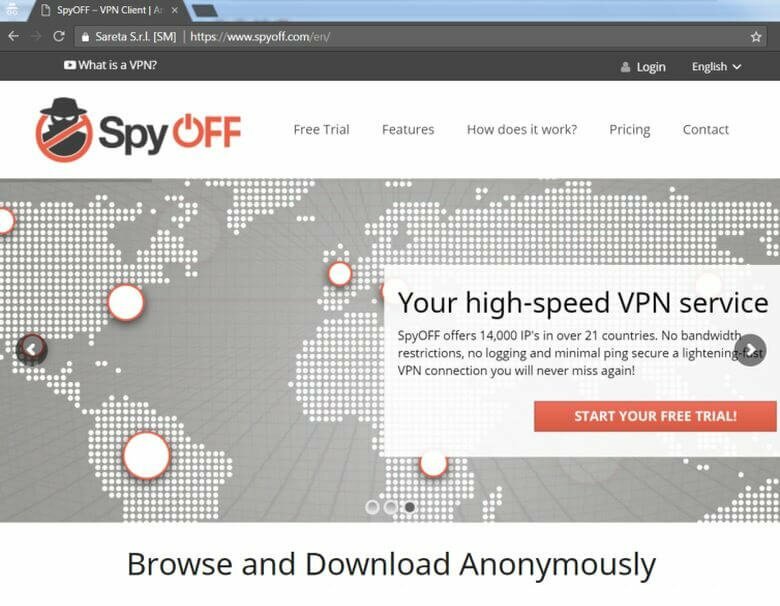 Hopefully this review has given you enough information to make a decision in your search for the perfect VPN for your needs. I am satisfied with Spyoff. What I like the most is, that the software is very easy to handle and user friendly + You have a lot of options to adjust Spyoff to your personal needs. The setup/ installation is very straight forward. Everything works well and i absolutely recommend my friends + family to test Spyoff themselves during the free trial.